​April 26th, 27th, and 28th at a new exciting location - The DryTown Water Park in Palmdale. 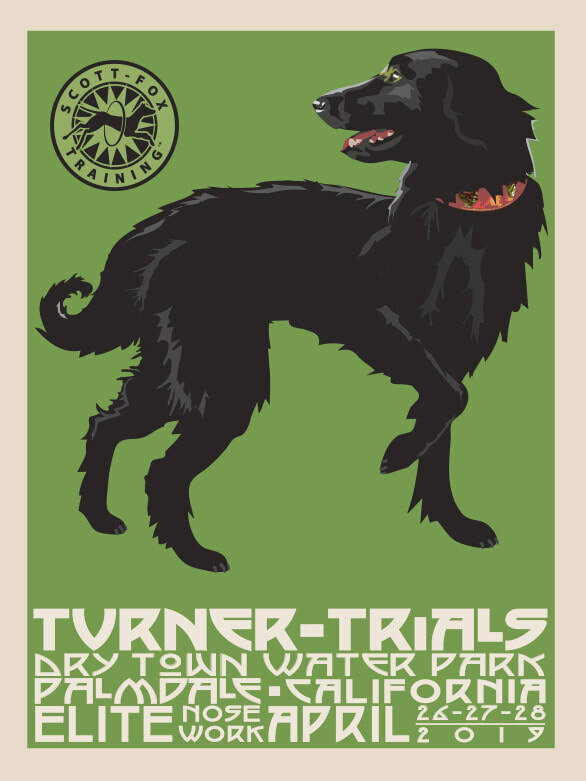 The Turner Trials, registration is now open. ​of the NACSW National Invitational in 2015. ​Jeff is one of the original nose work competitors, instructors, certifying officials and judges. • Multiple searches per day including more than 60 hides during the three day trial. • We aim to make the event fun and engaging for all: dogs, handlers, spectators and helpers! Applicants must fill out this Form. Entries will be accepted on a first come first served basis. Maximum of 40 dog/handler teams accepted. by February 1st 2019, or be approved by the host. ​• In the case the event does not fill with teams with the above qualifications, additional teams may be added by the host. • Detailed and specific scoring rules for the event will be provided to each confirmed participant with their final confirmation notice. A video and photography service will be available - details to follow.